568LF-BLLPU is rated 4.7 out of 5 by 7. Rated 5 out of 5 by Mo90 from Beautiful faucet. It looks great with a vessel sink! 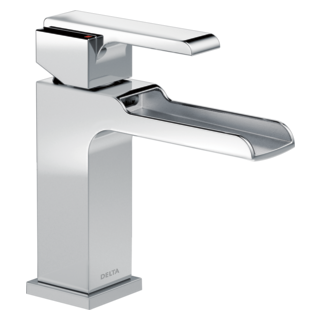 Rated 5 out of 5 by Gjg from Falling Water As the famous Frank Lloyd Wright house Falling Water, this faucet has the same attention to detail and quality as the house has which sets it apart from the many other similar designed faucets. 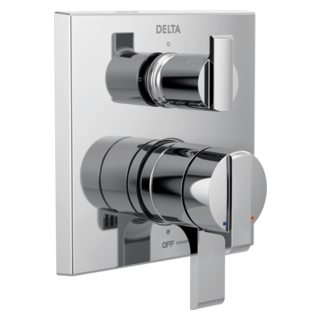 It’s finish and ease of use are top notch along with the square colored dots that signify hot and cold. 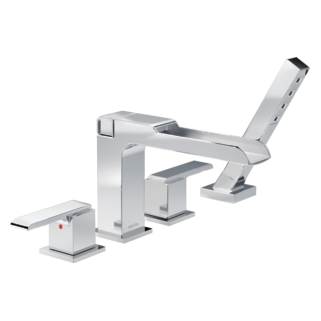 Installation is extremely easy and this model without the pop up drain is the way to go. There are many spring loaded pop up drains that go perfect with this design. 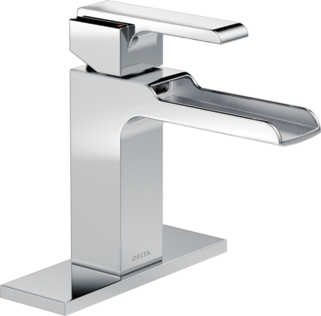 Rated 5 out of 5 by judith from fountain faucet We are still building our new home and have just installed three of these, in all the bathrooms. They are delightful )) Look especially good with our trough-style stone sinks. Have not lived with them yet, but they seem sturdy and solid. Rated 4 out of 5 by None from Lovely to look at My concern is that the water never drains from the spout. Overtime, even with great water there will be mineral build up and I can't keep wiping them dry with each use. They are perfectly level. My husband loves them so expect to replace when they become unsightly? Rated 5 out of 5 by Homeowner25 from Beautiful This is the first "waterfall" style fixture I've purchased. It's beautiful, easy to clean and is well made. Do i need 2.5 inch away from the backsplash? All my vanity is 1.5 inch away from backsplash. 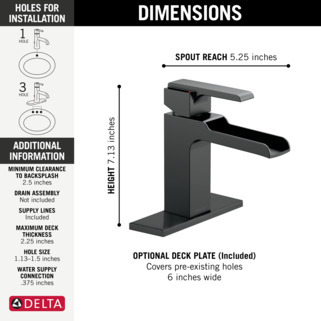 Would you please explain &quot; 1 or 3 hole installation&quot;? I have a 3 hole vanity, holes are 4&quot; center to center. 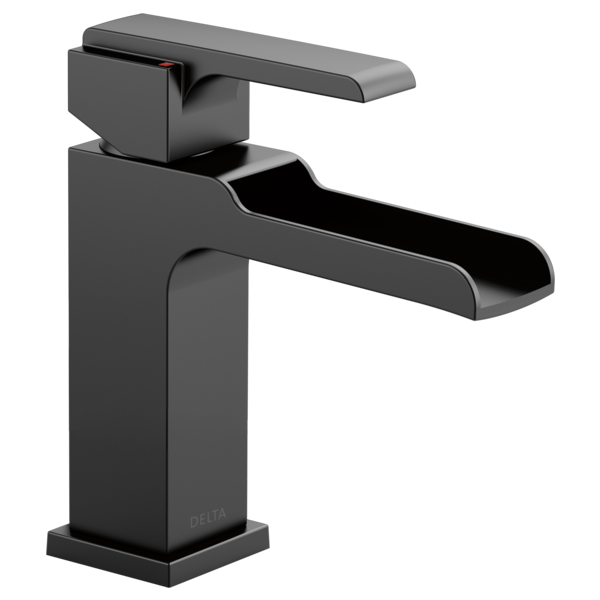 What is the height from the base of the faucet to the top handle (when the water is turned on)? 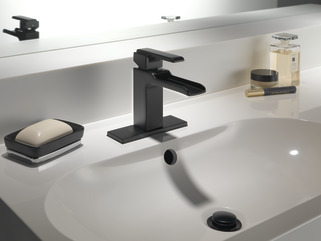 Hi, I have&nbsp;Single Handle Channel Bathroom Faucet Ara&reg; Model#: 568LF-LPU&nbsp; Installed in all my bathrooms. Some of the faucets handle got loosen. How can I tighten the handle? What model number pop up matches this faucet?